Home Tags Posts tagged with "jesus resurrection"
Orthodox Christians from around the world have celebrated Easter in overnight services and with holy fire from Jerusalem, commemorating Jesus Christ’s resurrection. This year’s Orthodox Easter falls on April 8, seven days after Catholic Easter, due to the difference in calendars followed by both churches. The day is known as Pascha and is the most important celebration from all the Christian holidays, celebrating Jesus’ resurrection. The day of Easter was declared to be the first day of the full moon following the Spring Equinox that occurs on March 21. The Eastern and Western Churches still ended up with a difference in celebration due to the use of the Gregorian calendar at first and later the Julian calendar. 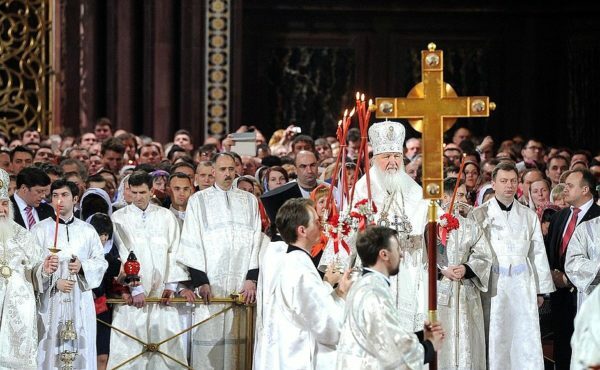 Some years, both Orthodox and Catholic Churches will celebrate Easter on the same day. On the Great and Holy Saturday, Orthodox clerics from around the world transport the holy flame from Jerusalem by plane and it’s then flown to other churches around their countries. According to tradition, the holy flame appears each year at the Holy Sepulchre in Jerusalem and is taken to other Orthodox countries. The celebration of Pascha is the most important celebration for the Orthodox Churches. It is the center of the Christian faith, the belief that Jesus Christ, after his death on the cross in Jerusalem, was resurrected.